TGIF, right?! This week has been rough… I had to go back to the dermatologist on Monday, I’ve taught a bunch of classes already, had to have a bunch of blood drawn for testing, and, to top it off, I did something I never do: I set my alarm incorrectly and missed a morning class I had signed up to take. Most of you are probably going “ok, Monique. Stop being so dramatic. You missed a class, big deal!”, right? 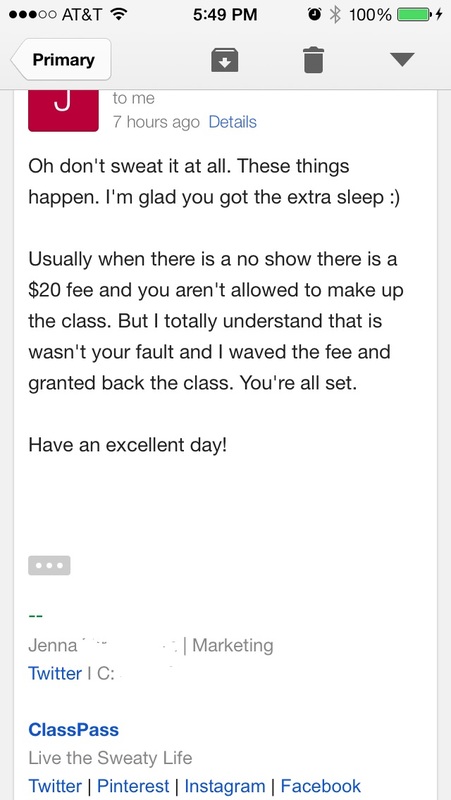 I wouldn’t have been so upset if I wasn’t going to be charged $20 for the class AND losing one of my ClassPass classes. 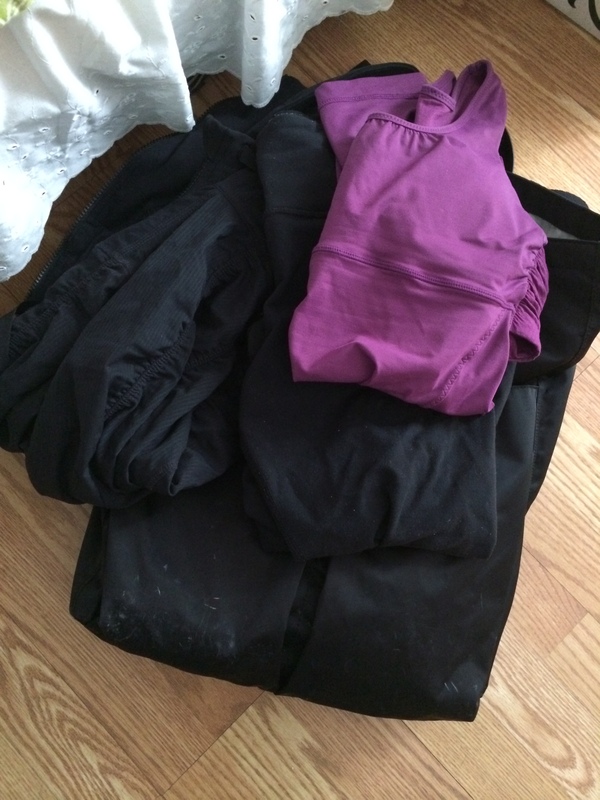 On Monday night, I set my clothes out, had my bag packed and even went to bed early to make sure I got enough sleep! What really bothered me the most, was the fact that I completely spaced out when setting my alarm. I hate doing dumb stuff, and I’m always very good about my alarm and setting multiple (just in case! ), so to have set it incorrectly and to not have woken up on my own bothered me (I told you I was super Type A!). There’s nothing like the feeling when you wake up and know something isn’t right. Before I even opened my eyes, I could tell it was light out, which wouldn’t have been the case at 6am. I quickly realized it was light out because it was 7:24am, NOT 6am. Clearly my body needed rest, which I tried to tell myself, but at the time, it didn’t help. So, even though I may not think this way in the heat of the moment (and I get too worked up about stuff in general), I think everything does happen for a reason. My body needed more sleep, which during a crazy week, is something I should have embraced, rather than getting upset. And, at least it wasn’t a class I was supposed to teach… that would have been the worst! Questions for you: When’s the last time you did something dumb like set your alarm incorrectly? Do you need an alarm to wake up or do you have a good internal clock? Do you overreact when your plans don’t go the way you wanted them do? I hope you all have a wonderful weekend! I’m looking forward to a quiet night tonight (after going to Recycle!) and tomorrow I am going to a wine tasting and lunch at Stephi’s on Tremont after teaching kickboxing 🙂 Just a heads up- I will be traveling to Texas Monday-Wednesday, but I will have posts lined up for you! Oh – I hate that!! 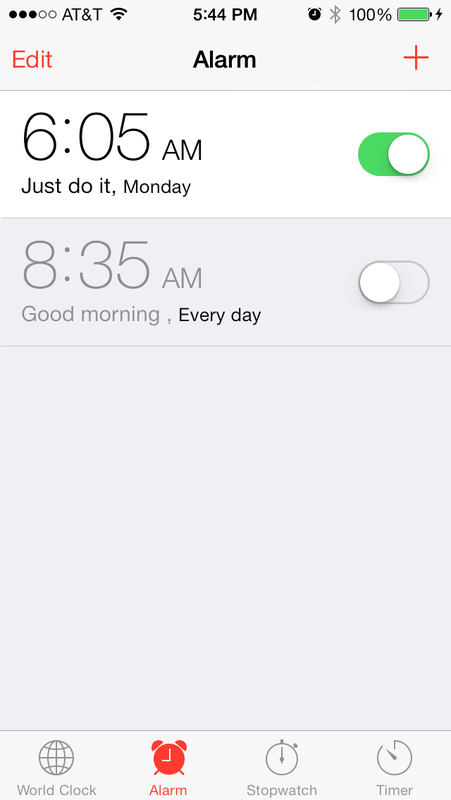 I actually did the same with my alarm this week – first time in years!! I gave myself a late day (6:00) and when I reset it that night for 5:00 I set it for 5:00pm. Luckily, my body is pretty well trained and I woke up at 5:05 so it worked out OK.
And, yes, I overreact and get cranky when things don’t go my way – in fact, that was my topic today – I was cranky all day yesterday over petty things that didn’t go my way. I wish my body was trained like that! I think if I woke up at the same time every day I would be better at it. I liked your post on that topic! It took me years to get to this point. I used to be the queen of the snooze button!!! You left them in the ignition?? that is not something you would ever do! It is definitely genetics! I am very Type A about setting my alarm and checking it a bazillion times to make sure it is correct before I fall asleep. Whenever I have something really important going on in the morning (aka it would be the end of me if I missed it) I actually don’t sleep very well and wake up several times throughout the night with anxiety. Because I am a scheduler, I admit to overreacting a time or two when things go wrong. I do the same thing! I had woken up a few times before that and checked my phone for the time, but clearly I fell back asleep! I’m glad I’m not the only one who reacts like that!